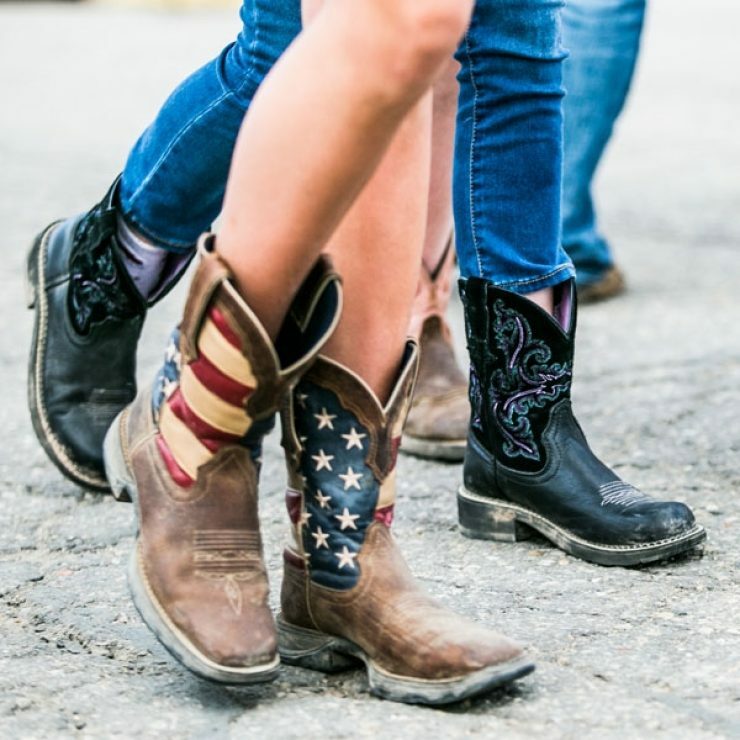 Catch a ride on the Midwest Horse Fair Shuttle to get from your car to the Fair! Dreading the walk from your car to the fair? 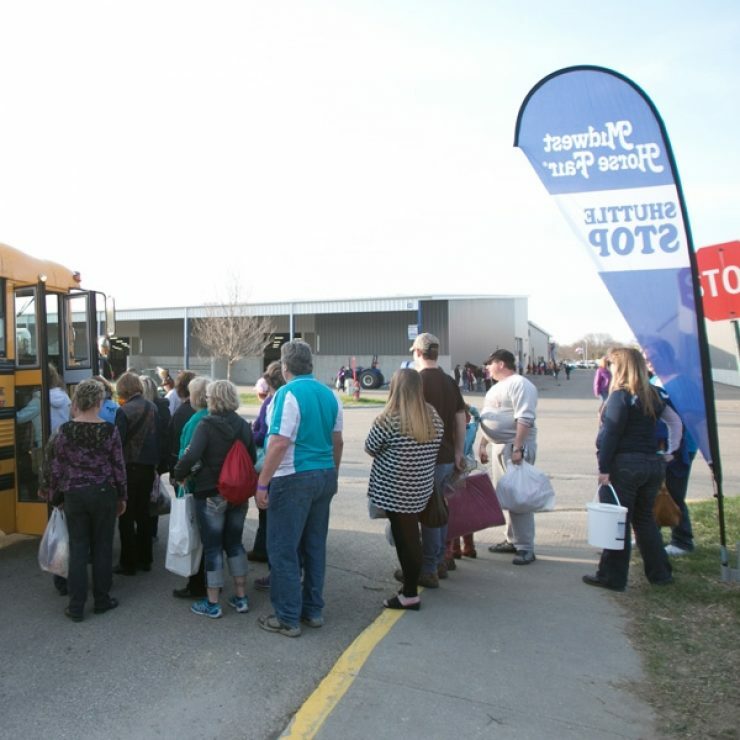 Let the Midwest Horse Fair shuttle give you a ride. 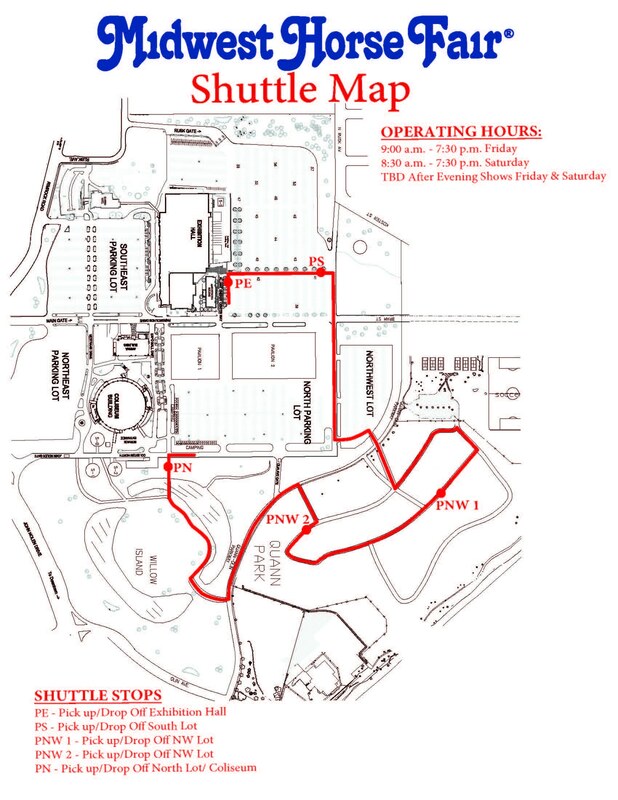 There are several shuttle stops for the Alliant Energy Center parking lots. The Midwest Horse Fair is one of the largest three-day horse fairs in the country. 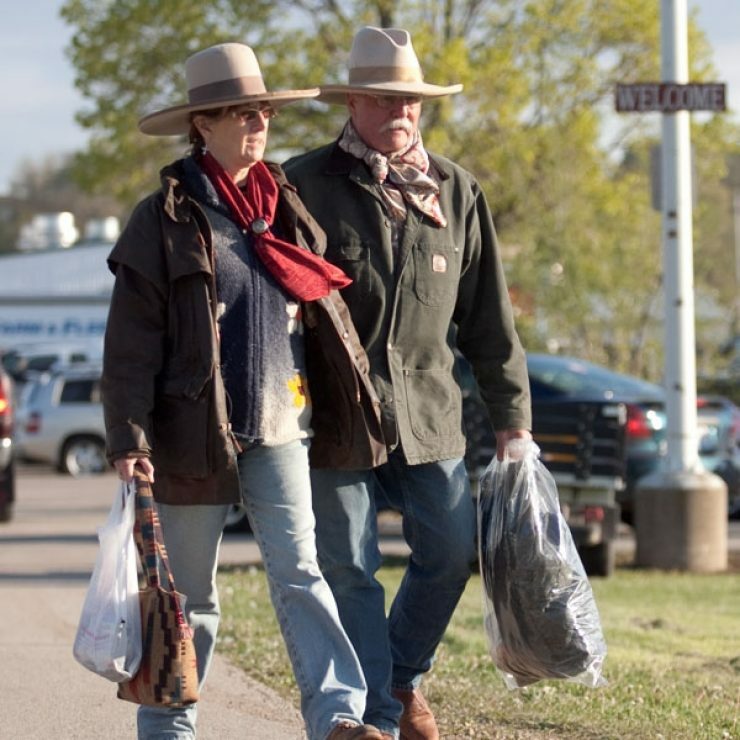 Since 1979, the fair has attracted seasoned horse owners, new horse owners and horse lovers each year for educational seminars, clinics, riding demonstrations and competitions, entertainment and shopping. It caters to both Western and English riders. The Midwest Horse Fair is owned by the Wisconsin Horse Council, a nonprofit organization that promotes the equine industry in the state of Wisconsin.